Services are scheduled for 2 p.m. Friday, Jan. 11, at Our Lady of Grace Catholic Church for Louis R. Duran. Duran, 85, passed away Monday, Dec. 31, 2018, at Artesia General Hospital. Interment will follow the services at Woodbine Cemetery. Pallbearers will be Dominic Grado, Zachary Grado, Joeluis Garcia, Angel Cabral, Orlando Rodriguez, Eric Tesillo, Louis Duran and Hector Galvan. Honorary pallbearers are Ismael Sandoval, Randy Samora and Gabriel Duran. Visitation will begin at 4 p.m. Thursday at Our Lady of Grace. A rosary will be recited at 6:30 p.m. Thursday at the church. Louis was born Nov. 14, 1933, in Artesia, the son of Juan and Concepcion (Renteria) Duran. 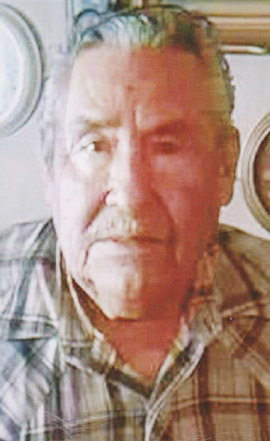 He was a lifelong resident of Artesia and a member of Our Lady of Grace Catholic Church. He was married to Juanita Ornelas Duran. Survivors include his wife, Juanita Ornelas Duran, of Artesia; sons Louis Duran Jr. of Roswell and Ruben Duran, Anthony Duran and Israel Duran, all of Artesia; daughters Mary Andavazo of Roswell, Sanjuanita Sandoval of Clovis, Samantha Tesillo of Lubbock, Texas, Aurora Rodrigues of El Paso, Texas, and Elida Duran of Artesia; numerous grandchildren and great-grandchildren; brother Miguel Duran of Artesia; and sisters Lupe Ortega and Rosa Garcia, both of Artesia.